It was at the family home in Henning, Tennessee, where Alex Haley first heard the stories that inspired him to write the international best seller, Roots. Haley is still crafting literature, which he hopes will be his greatest monument. The author, who won a special Pulitzer Prize for the book tracing his roots back through slavery to Africa, first won fame as co-creator of The Autobiography of Malcolm X after spending twenty years in the U.S. Coast Guard. He is completing Henning, a non-fiction book about his hometown in the west Tennessee flatlands, and two of three more books in progress have Tennessee settings. One focuses on a fictional Appalachian family. The other is a state history. With Sarah (Minnie Pearl) Cannon, Haley served as honorary chair of the successful Tennessee Homecoming, which brought former residents back for visits in 1986, and he says he has never lost his love for the South, despite the region’s history of slavery, segregation and racial discrimination. “There’s more substance here, so much more to write about,” he has said. “I don’t know anything I treasure more as a writer than being a Southerner. 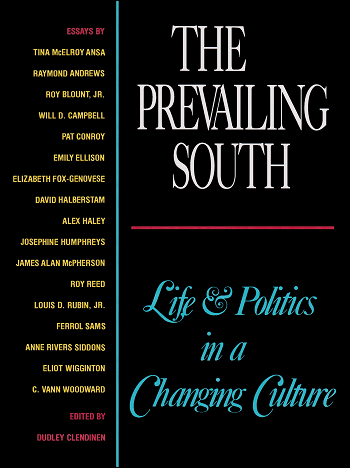 I love to write about the South and try to convey the experience of it . . . the history of it. It has been pointed at negatively in so many ways, and so few people for a long time appreciated the physical beauty of the South.” ~ Alex Haley.